The ISOTDAQ 2017 is the eigth of a series of International Schools dedicated to introduce MSc and PhD students to the "arts and crafts" of triggering and acquiring data for physics experiments. The main aim of the school is to provide an overview of the basic instruments and methodologies used in high energy physics, spanning from small experiments in the lab to the very large LHC experiments, emphasizing the main building blocks as well as the different choices and architectures at different levels of complexity. About half of the school time will be dedicated to laboratory exercises where the students are exposed to most of the techniques described in the lectures. 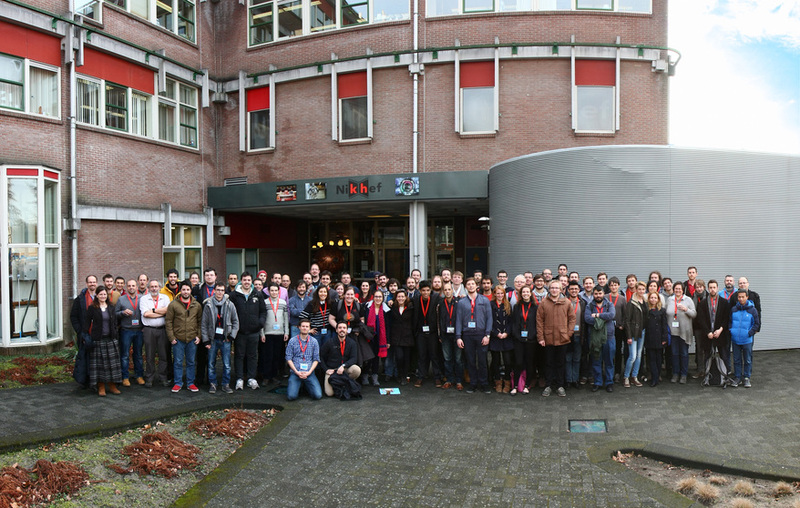 The 8th International School of Trigger and Data Acquisition will be held in the Amsterdam Science Park at Nikhef (the National Institute for Sub-atomic physics) Amsterdam, The Netherlands. Lectures, the hands on exercises, lunch and coffee breaks will be held in the Institute. Accommodation is within cycling distance, or convenient public transportation, at the Hotel Eden Lancaster (right in front of the Artis zoo). download the full resolution picture.